We offer our clients a vast range of Food Processing Machines. We are eminent Manufacturer, Exporter, Supplier, Trader ofAutomatic Papad Making Machine,Fully Automatic Udad Papad Making Machine,Fully Automatic Khichiya Papad Making Machine,Fully Automatic Rice Papad Making Machine,Khichiya Papad Making Machine,Nachani Papad Machine,Papad Making Machine,Papad Rolling Machine,Applam Papad Making Machine. 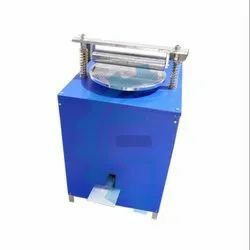 we are considered to be the most reputed manufacturers and exporters of Papad Rolling Machine. These machines are known for easy installation, high operational fluency and minimum maintenance features. Promising on time delivery, our experts check these machines on various quality parameters to ensure quality and designing. 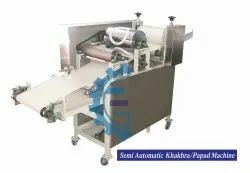 Papad Rolling Machine is used in big canteens, small scale industry and hotels for rolling papads. Highly working and efficient Papad Making Machine is offer by our organizations in different sizes and specifications. Our entire product line is compact in designs and requires minimum maintenance. Fully Automatic Udad Papad Making Machine is performance based and has high tensile strength. 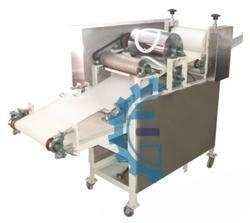 Automatic Papad Making Machine Are Known For Their Efficiency And Cost Effective Rates. Udad Papad Machine is performance based and has high tensile strength. Udad Papad Making Machine Are Known For Their Efficiency And Cost Effective Rates. 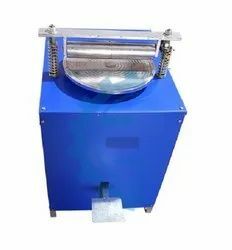 Rice Papad Machine is performance based and has high tensile strength. Rice Papad Making Machine Are Known For Their Efficiency And Cost Effective Rates. Khichiya Papad Machine is performance based and has high tensile strength. Khichiya Papad Making Machine Are Known For Their Efficiency And Cost Effective Rates. Fully Automatic Rice Papad Machine is performance based and has high tensile strength. Fully Automatic Rice Papad Making Machine Are Known For Their Efficiency And Cost Effective Rates. 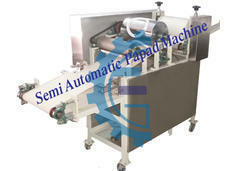 Manual Papad Machine is used in big canteens, small scale industry and hotels for rolling papads. Best Papad Machine is performance based and has high tensile strength. Best Papad Making Machine Are Known For Their Efficiency And Cost Effective Rates. 1.Automatic raw papad making machine dough just needs to be fed into the hopper and at the outlet one gets raw papad. 3. Thus, these machines offer oil free, hygienic papad at economical prices. 5.This machine is able to produce 800 to 1000 papad per hour depends on the diameter of papad. Looking for Papad Making Machine ?